SIOUX CITY -- "I'd rather see you dead, little girl, than to be with another man," The Beatles sang in their 1965 hit, "Run For Your Life." From 1965-1968, actor Ben Gazzara played a dying man who lived life most dangerously in the hit TV series, "Run For Your Life." A calculating killer knocks off the rich and famous in James Patterson's latest hit thriller, "Run For Your Life." Less dramatically but more meaningfully -- and without the hits, onetime Briar Cliff University distance runner Rosemary Bernth is among a cadre of pro-lifers running for the lives of others. Bernth, a journalist working in Sioux City for The Globe, the Catholic diocesan paper, has joined LIFE Runners. LIFE is an acronym for Living in Faith Exchange, a nationwide group that runs marathons and other races to raise awareness and fundraising for the pro-life cause. "I ran at high school in Omaha and then ran track and cross country for Briar Cliff, and now I'm just running marathons and races on my own. It's definitely something I love to do," she said. 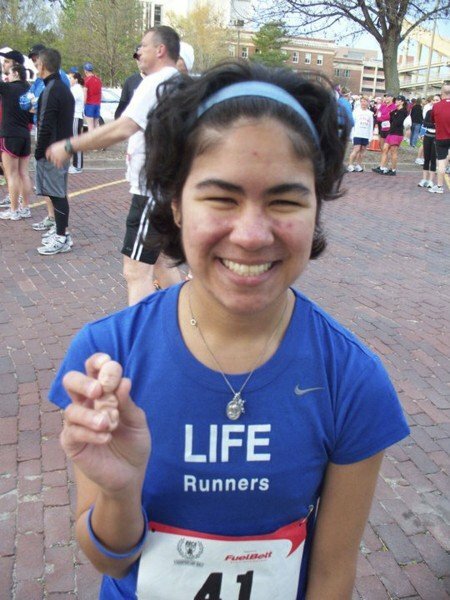 She stumbled upon LIFE Runners while working on a pro-life story for The Globe, following a link from the Alpha Center webpage to the runners. "I was just like, 'Wow,' this is a running group that stands for about the same things that I do. You know that they're very involved, and it's running, and I love to run. So I got in touch with their coach, Pat Castle," she said. Castle, whose Air Force job took him to Illinois, was living in Sioux Falls at the time. He responded immediately to her email query and told her that as a group, they were running their annual group-wide marathon on Oct.15 in Kansas City, and asked Bernth if she would take part. Once she found out that she wasn't the only local runner involved, she signed up. In addition to Sioux City runners Brenda and Aaron Ferrie, there are other LIFE Runners in Sioux Falls and Omaha, folks she occasionally trains with or meets at area races. Part of the attraction, she admits, is how "team-esque" it is. It reminds her of the bonding experiences she had running track in high school and college. She is no longer alone in the lonesome world of long-distance running. "When I found this group, I found that it is almost like a second family," she said. "Last time I checked, I think we have now 102 runners willing to do it, in 17 different states," Bernth said. "It's just amazing, all these people from all over willing to come together for just this one cause, to run for pro life. So I thought that was pretty cool." Basically, throughout the year, LIFE Runners compete on their own, wearing special LIFE Runners jerseys that attract attention, giving the LIFE Runners an opportunity to explain who they are and what their organization is about, she said. The shirts say LIFE RUNNERS on front and REMEMBER THE UNBORN on the back. Bernth tells the curious that she is simply a runner who is trying to raise awareness and funds for The Alpha Center for pro life in Sioux Falls. Funds raised at the Kansas City marathon -- and the goal is $25,000 -- will go to the Alpha Center's Fleet for Little Feet bus, which is basically a traveling ultrasound machine that travels the rural areas. "That way women who don't know if they should get an abortion or if the don't know what to do, they can at least see the ultrasound and be like, OK, that's a child, that's a baby," she said. Bernth has been a pro-life advocate since high school.
" I love running. So it was a great combination of what I love to do and pretty much what I believe in. It combines not only my beliefs but also my talents and my hobbies," she said. "It's kind of like using my whole self, my heart, my mind, my body, like just one big prayer. I'm just like a walking prayer." Anyone interested in joining the team or learning more about LIFE Runners can call Bernth at 402-213-5298 or email rcbernth@aol.com. They can contact coach Castle at run.lifegroup413.org. 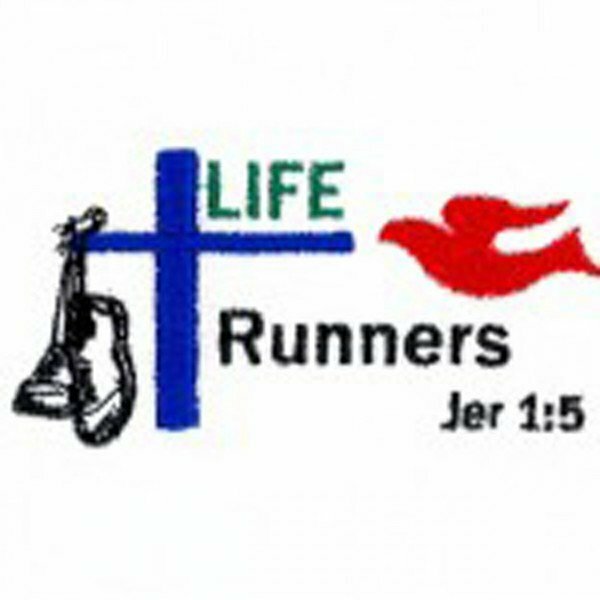 There is also an auxiliary group, LIFE Devotions, a devotional group of people who support the runners. "You don't have to run to be part of LIFE Runners. You can support us financially or prayer-wise," she said. "Of course, some of the families have kids and they might need people to watch them. We always need a helping hand out there."